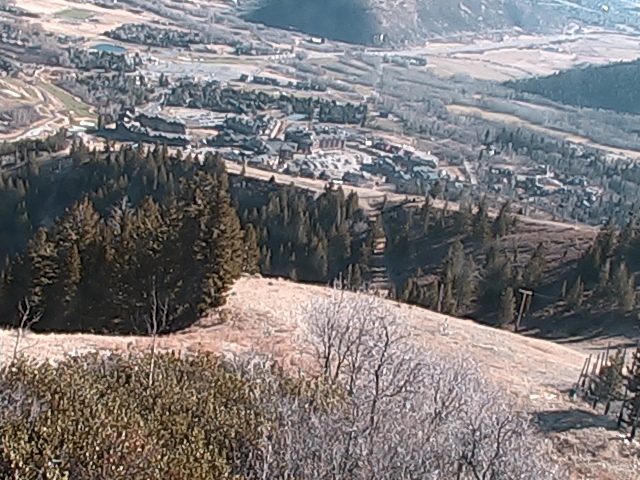 Canyons Resort - Located 3 miles from downtown Park City Utah, The Canyons is now part of Park City Mountain Resort making it part of the largest ski area in the United States - home to over 7,300 skiable acres with a good mix of beginner, intermediate and advanced terrain. A Travelplan consultant can assist you package your accommodation with flights, lifts & transfers for even greater savings on your holiday to Canyons Resort, Utah. During Summer 2015, Park City Mountain Resort undertook the largest resort improvement project in the history of American skiing, one that linked it with neighbour Canyons Resort to create the United States’ largest ski area with over 2950 skiable hectares. Park City bustles with activities year-round with two distinct base areas, nine hotels, thrilling family adventures, and more than two dozen restaurants. Park City was home of XIX Olympic Winter Games in 2002 and training site for the US Ski and Snowboard Teams and is an easily accessible, world-class mountain destination located in an authentic & historic western town. Park City's two mountain villages offers a huge selection of accommodation to choose from including world class hotels and apartments. EARLY BIRD: Up to 2 nights free. Stay 10 pay 8 nights - Book by November 30, 2018. Located at the base of the Canyons ski rersort, The Warldorf Astoria provides direct access via the Frostwood Gondola. Accommodations are both spacious and luxurious with all rooms offering signature Golden Door amenities, fireplaces and HDTV's. Located in the centre of the village and only a few minutes from the ski lifts, the Sundial Lodge provides luxuriously appointed apartments. All apartments have modern appliances private spa baths and glorious mountain views. Located just steps away from the 'Flight of The Canyons' gondola, the Grand Summit Resort Hotel provides guests with exceptional ski in ski out access, numerous amenities and hotel services. Located right across the street from the Resort Village Centre. The Silverado Lodge offers contemporary mountain living with cosy fireplaces, vaulted ceilings and oversized decks. Hyatt Escala Lodge is a spectacular hotel with comfortable accommodations, from contemporary guestrooms to residential suites with up to four bedrooms. Our family of 6, with 4 kids aged 9-15 had an absolutely wonderful time during our 10 day stay at the Silverado Lodge. Our accommodation was a 1 x King size room with ensuite interconnected with a 2 x Queen size room with ensuite, via a full kitchen with lounge and dining area and a third bathroom. It was huge and very comfortable. Breakfast at The Grand Summit was included (for 4) and it was great. The shuttle is on call and it's just a few minutes ride up the hill to the base area. We also walked it a few times (about 300m) in boots with skies. The snow cover and weather were fantastic. Plenty or varied terrain, and the access over to Park City had just opened so we skied over a couple of times. We have varying ability in our family and tended to stick together and skied probably less than a quarter of the available area, but never got bored as the skiing was so good. The scenery is absolutely beautiful. Restaurants and bars are limited in Canyons but we found 3 that were good for us. We mostly cooked in the lodge, because we could. Park City has plenty of dining and shopping options and the free bus takes about 20 minutes from Canyons. This was our second visit to Canyons. Last time we were impressed by the terrain but were let down by a lack of fresh snow - just unlucky, and worth a second visit? On this trip we visited seven resorts from Montana to Wyoming and Utah, and the Canyons had easily the poorest cover - very thin in places with bare patches coming through in February. It was also the second most crowded resort (after Jackson Hole), and this made it a bit tedious getting to and from the base area as a lot of traffic funnels through a few busy runs. On the plus side our accommodation in Sundial Lodge was very good; a studio well located close to the gondola and the relatively few local restaurants. Very comfortable with a full kitchen and everything required. We had included breakfasts - either a full buffet with omelette made to order in the Grand Summit, a bit of a hike away, or a more convenient but limited brekkie at the top of the gondola. Great resort, beautiful place, and great skiing slopes, lifts and service. We missed the good snow, but enough to still really enjoy the 4 days. Staff are fantastic, and the apartment for our family of 5 was superb and very spacious. Highly recommend to all levels of skiing and boarding.